In this print issue we find out how Airbnb is building a superbrand that defines a generation, take a sneak peak at SXSW and look into the different remuneration models keeping the agency world turning. Plus, the AdNews Agency of the Year Awards winners and finalists. Also, The Marketer, Airbnb’s global CMO Jonathan Mildenhall, explains how the business is building a brand that defines a generation. Big Pic: The colour and shape of the money agencies make and how they make it is changing. SXSW: Take a peak at some of the unmissable sessions at the Austin, Texas melting pot. Creative Focus: We ask if creatives can thrive inside giant tech organisations. 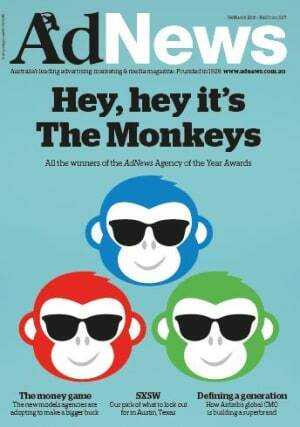 Plus this issue has the AdNews Agency of the Year supplement for a deeper look at why the winners won.